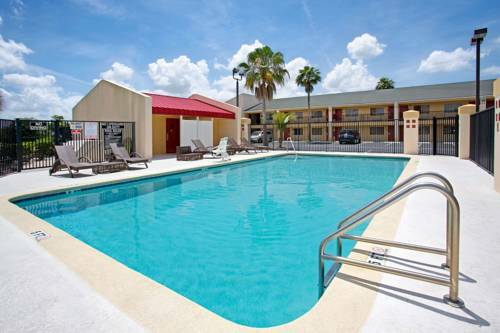 Our smoke-free property is located only a few minutes away from Universal Studios and Wet N Wild. We are also located within short walking and driving distances to International Drive, which is the heart of the tourist area. More than 100 restaurants and shopping outlets are located on International Drive. We offer a free shuttle service to local theme parks. ADA defined services animals are welcomed at our hotel. Sorry, no other pets accepted. Tickets for all local attractions are available at the hotel.